A short, concise book in favor of honoring doubt and admitting when the answer is I dont know.In a tight, enlightening narrative, Leah Hager Cohen explores why, so often, we attempt to hide our ignorance, and why, in so many different areas, we would be better off coming clean. Weaving entertaining, anecdotal reporting with eye-opening research, she considers both the ramifications of and alternatives to this ubiquitous habit in arenas as varied as education, finance, medicine, politics, warfare, trial courts, and climate change. But its more than just encouraging readers to confess their ignorance—Cohen proposes that we have much to gain by embracing uncertainty. Three little words can in fact liberate and empower, and increase the possibilities for true communication. 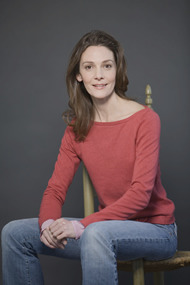 Leah Hager Cohen is the author of five works of nonfiction, including TRAIN GO SORRY and I DON'T KNOW: IN PRAISE OF ADMITTING IGNORANCE (EXCEPT WHEN YOU SHOULDN'T) , and five novels, including THE GRIEF OF OTHERS, which was longlisted for the Orange Prize and the IMPAC Dublin Literary Award and a finalist for the Dayton Literary Peace Prize, and NO BOOK BUT THE WORLD. She is Distinguished Writer in Residence at the College of the Holy Cross and teaches in the MFA Program in Creative Writing at Lesley University.